Junior left-hander Nolan Hudi struck out 12 to earn the victory for the Warriors. Winning a state championship is an incredibly hard accomplishment. Earning a chance to go back and defend that title for another one is very rare and special. But the Calvary Christian Warriors are a rare and special program on an unprecedented run that now has the club right where it wanted to be. 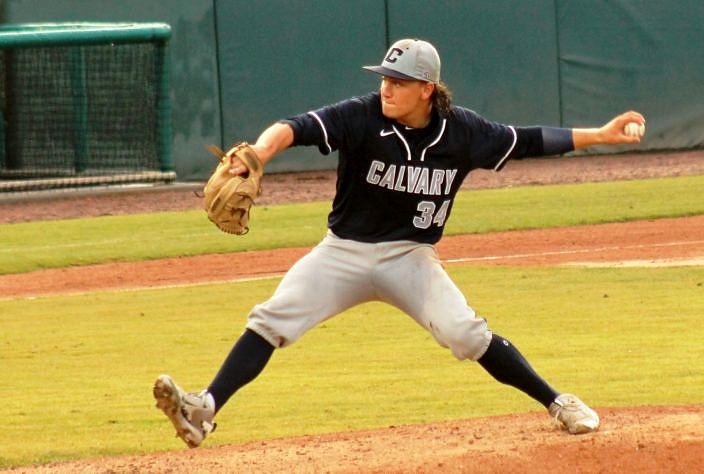 Following a gritty, 2-1 victory over the Trinity Christian Academy Conquerors, Calvary advanced into Thursday’s Class 4A state championship at Hammond Stadium in Fort Myers. The Warriors improved to 30-0 and extended their winning streak to 60 games dating back to the start of the 2017 season. They will now put that streak on the line for all the marbles against the Calvary Christian Eagles. The sister school from Fort Lauderdale defeated Benjamin 3-1 in the other semifinal to set up a highly-anticipated showdown between the two clubs that won the last two 4A titles. The Warriors struck for the deciding run in the top of the fifth inning. Eric Kennedy was hit by a pitch, stole second and advanced to third base on a wild pitch to get into excellent scoring position. Matheu Nelson then lined a shot to left field for an RBI double, a shot hit so hard it officially registered a 109 exit velocity. The Warriors celebrate at home plate during a scoring play in the third inning. Kennedy also scored Calvary’s other run in the third inning. 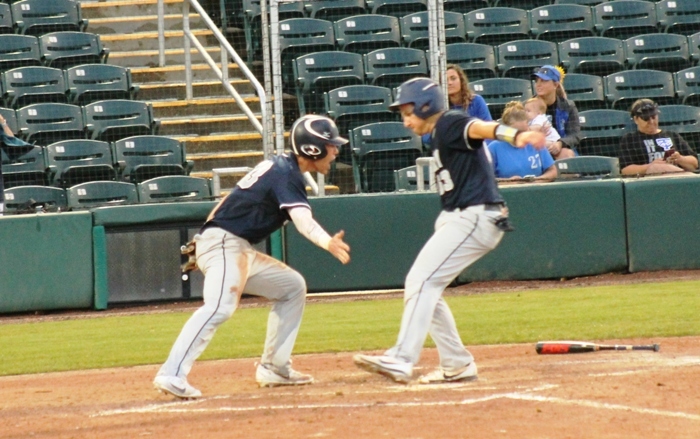 The center fielder drew a walk, Christian Cairo then walked but was erased on a fielder’s choice from Nelson, and Justin Bench delivered an RBI double that pushed Kennedy across the plate. Nelson also came in on the play, but was ruled out after failing to touch the plate, which Conquerors starter Dylan Simmons was quick to notice and react to by getting the ball and recording the out by stepping on home. The Conquerors (20-9) then answered back with a score in the fourth that tied things up at a run apiece. Facing tough left-handed Warrior Nolan Hudi, scoring chances were not easy to come by. Although the Conquerors managed six hits off Hudi, his dominance with the changeup paved the way for 12 strikeouts and nearly enough pitches for him to go the distance. But after Dylan Simmons connected for a double to right field leading off the fourth, Trevor Chilsom drove him in with an RBI single to right field. With Hudi at the pitch limit one out short of the victory, the Warriors turned to junior Josh Emerson. The right-hander issued a walk to Conner Aldrich, but then induced a liner to second base that finished things off. 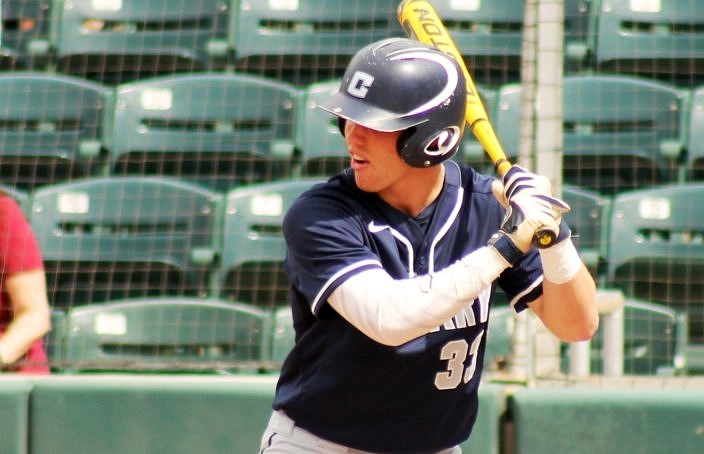 Eric Kennedy reached base three times and scored both runs for Calvary Christian. The meeting between the two sister schools brings a much-anticipated showdown between two of the most talented teams in the state.